Worldwide economic uncertainty has created a growing interest in precious metals as a way to preserve wealth. Today, global risks for investors include currency devaluation, sovereign debt defaults, bond market collapses and stock market losses, all underpinned by ever-increasing government debt. For protection from impending economic Armageddon, investors are turning in increasing numbers to the traditional safe haven of precious metals. Unfortunately, many today don’t know how to purchase or store bullion, and consequently may find themselves as vulnerable to financial collapse as those who didn’t purchase any bullion at all. Most investors do not read the fine print of the agreements they sign with respect to financial investments; they make assumptions, but do not definitively know if they own actual bullion. Some are attracted to certain bullion investments because of low premiums and low storage fees, but when was the last time Wall Street and the major banks gave the investing public a deal? Investors who don’t do their homework may be dismayed to find that their safe haven asset has proved to be anything but. These same people perform rigorous due diligence when purchasing a home, car or boat, demanding that they have clear legal title to the asset in question. The same attention to detail must be paid when investing in bullion. The most important concept to understand is that a financial institution CAN sell an investor’s bullion if the agreement states that it can. Banks are not raiding allocated accounts; rather, they are following the provisions of the contract, in which the bullion is not allocated despite an investor’s assumptions. There does appear to be cause for concern regarding the transparency of bullion products. As reported by the economic news website ZeroHedge, financial services giant Morgan Stanley paid out $4.4 million in June 2007 to settle a class action lawsuit brought by clients after the firm charged them to “buy and store” precious metals, but did neither . Similarly, a class action lawsuit filed in New York’s federal court accuses UBS Financial Services of misleading silver investors, and charging them storage fees for metals that were never purchased, let alone allocated or stored for them. A larger problem has been brewing for several years now, that of exchange-traded funds (ETFs). These are generally viewed as a low-cost panacea that replaces almost any investment strategy, including the purchase of gold bullion, and they are giving investors a false sense of security. ETFs started as equity index vehicles, in which brokers acting as Authorized Participants borrowed shares from institutions, hedge funds, mutual funds or their clients’ margin accounts to contribute to the Origination Basket of shares. They received ETF shares at Net Asset Value (NAV) in exchange, and sold them to investors at NAV – keeping all of the money. This is standard practice, as brokers have always been able to borrow shares from clients’ margin accounts for the purpose of shorting or for lending to other brokers. Essentially, many ETFs hold assets that have been borrowed. Because there are no specific prohibitions to prevent the same practice from being used in precious metals ETFs, the same methodology is likely being used. Many investors are attracted by the low management fees offered by precious metals ETFs, but few understand the problems that may arise when more than one person has claim to the same asset. This ETF structure will work during normal market conditions. However, it may result in losses and disputes if the Authorized Participants, acting as market makers, become insolvent or step aside during a precipitous decline. If a bank or brokerage firm becomes an insolvent Authorized Participant, either the lender of the assets or the ETF shareholders will suffer losses. During a market crash, existing holders may be unable to sell their ETF shares. Although this possibility was considered remote when ETFs were created, the recent and recurring failures of banks and brokerage firms make these concerns far more real . The bottom line on ETFs is that they are tracking vehicles with multiple claims/counterparty risks on their assets as well as their shares. As debt-based stress on the global financial system continues to build, the flash-crash of 2010 may well have foreshadowed an ETF-based financial crisis that will make the subprime mortgage crisis of 2008 look like child’s play. When we at Bullion Management Group sit down with clients seeking to own bullion, we present them with our Precious Metals Pyramid Chart. Moving up the pyramid increases risk; moving down the pyramid increases safety. A portfolio’s foundation should consist of physical bullion owned outright. Farther up the pyramid are proxies of bullion in one form or another that are more risky and often less liquid; in other words, the opposite of a safe haven asset you can count on in times of financial stress. Bullion should always meet two criteria: It should not be someone else’s liability, and it should not be someone else’s promise of performance. To establish a physical bullion portfolio foundation with metals that are stored on an allocated and insured basis, one that will protect against what could be called ethical mayhem in today’s financial sector, investors must, as Governor Dodge advised, make a concerted effort to understand what they are buying. While reading legal documents and prospectuses is tedious, the truth is in the fine print and investors must do their own due diligence, and beware of complex investment structures. For a bullion product, be it a fund or actual bullion bars, to earn its place as the foundation of a portfolio, the bullion purchaser must demand documentation that legally transfers title of specific, physical bars directly to them. Do not accept IOUs, paper proxies or derivatives. It is important to read the purchase documents carefully to ensure they convey legal title. Only after the purchaser has legal title can they enter into a binding custody agreement for bullion storage on an allocated, insured basis. In that agreement, the purchaser must be able to identify all terms and rights concerning insurance and secure, allocated storage. Proper insurance and allocated storage in a credible, guarded vault costs money, so steer clear of bullion products promising low fees. If the deal appears too good to be true, the physical bullion may not exist. What the investor may have is paper bullion that will not offer protection when it is most needed; they may simply be an unsecured creditor of the dealer. It is hardly prudent to be tempted by low storage fees that will save a fraction of a percentage point while risking an entire bullion holding. Short cuts and penny pinching are inadvisable strategies for any asset intended as an ultimate safe haven of wealth protection. Many people think that storing their bullion at home is a good way to economize on physical bullion storage fees, but be aware that any sizable amount of home-stored bullion will not be covered by a household insurance policy. Keeping a modest–and secret–stash of small-denomination gold or silver for barter purposes is recommended in the event that ATM machines aren’t working, or a ‘bank holiday’ is announced. This may seem like an excess of caution until you consider that, earlier this year, the Bank of Italy authorized the suspension of payments by Bank Network Investments Spa (BNI) without first advising depositors . Unless absolute secrecy is maintained, home storage means putting yourself and your family at risk of a home invasion. There has been an increase of home invasions in England during Asian wedding season, when gold gifts are stored in homes, and street gangs and professional thieves are only too happy to relieve people of their precious metals. Even in peace-loving Canada, a British Columbia man lost his life savings of $750,000 in silver bars to knife-and-gun wielding thugs who arrived at his door disguised as police officers. When he let them in, the ‘officers’ forced him to open his vault and stole the silver . For any sizable amount of bullion, home storage is clearly not worth the risk. Many precious metals dealers do not trust banks for storage, and prefer private vault facilities. They may rethink this approach on reviewing a British case where authorities raided three private safe deposit box centres, and opened 6,717 privateboxes . The owners of the boxes were required to provide proof of the contents of their box before their possessions were returned. Most could not do so, and much of the cash involved went missing while other items are in dispute. The ensuing litigation will likely last for decades; in the meantime, those who stored bullion in their boxes have been relieved of their metal, and may only receive compensation in the amount of the value of the bullion at the time of the raid. Another consideration is that safe deposit box contents cannot be insured, and there is no proof that anything is actually in the box. Investors who are still interested in private vaults or safe deposit box centres should perform due diligence on the financial condition of the operator and the owner of the vault, since stored assets may be at risk in the case of a private vault’s insolvency. Storing bullion at home, in a safe deposit box or in a private vault is another form of false economy, wherein investors put their safe haven asset at risk to save a small amount in storage fees. Another important aspect of due diligence for a proper foundation of wealth preservation is the assurance that your bullion is in the form of Good Delivery bars, and stored in the vault of a London Bullion Market Association (LBMA) member. The LBMA is a wholesale, over-the-counter market for trading gold and silver. Its members include the majority of the bullion banks that hold gold, plus producers, refiners, fabricators and other traders throughout the world. 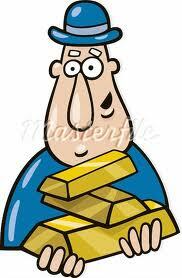 The reason for insisting on LBMA bullion is that it assures the purchaser of the quality and fineness of the bars. Once gold is outside a chain of integrity such as that of the LBMA, it may need to be re-assayed before it can be sold. This prevents gold-plated Tungsten bars from entering the chain of integrity. Re-assaying is time consuming, engenders extra cost and once again defeats the purpose of a safe haven store of wealth that offers efficient liquidity. We constantly hear stories of discount bullion, or bullion sold at no premium to the spot price. The likelihood that this is pure bullion from an ethical source is slight to none. Bullion demand is clearly growing as both sovereign nations and the world’s largest financial institutions buckle under the burden of unserviceable debt, leaving helicopter-loads of new money printing and associated currency devaluation as the only way out. When the next financial firestorm erupts, you need real, physical bullion and not a paper proxy; just as in a fire you need a real fire extinguisher, not a picture of one.